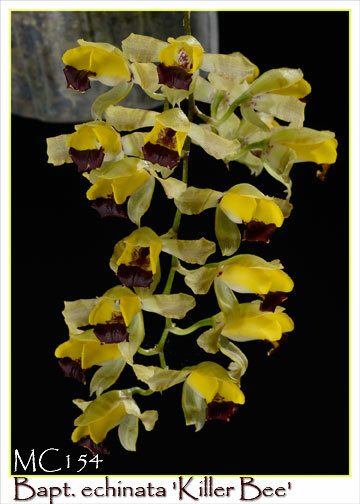 A very special clone of this grex of ‘Killer Bee’ from Tom Perlite of Golden Gate Orchids ! 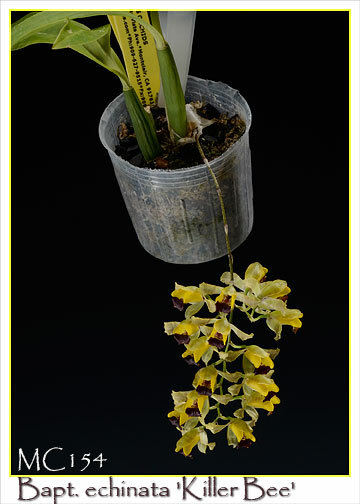 Norman’s Orchids selected and mericloned this select plant from his entire population for its increased flower size and ready branching habit resulting in a much higher flower count. 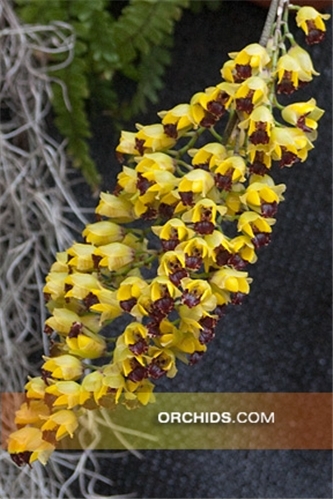 Reminiscent of a swarm of hovering bees, this showy species likes to stay wet and grows well under Phalaenopsis conditions. 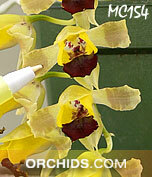 A must to include in every orchid species collection so don’t wait since our limited stock will disappear quickly ! Killer Bee; Note: mini species , Limited .